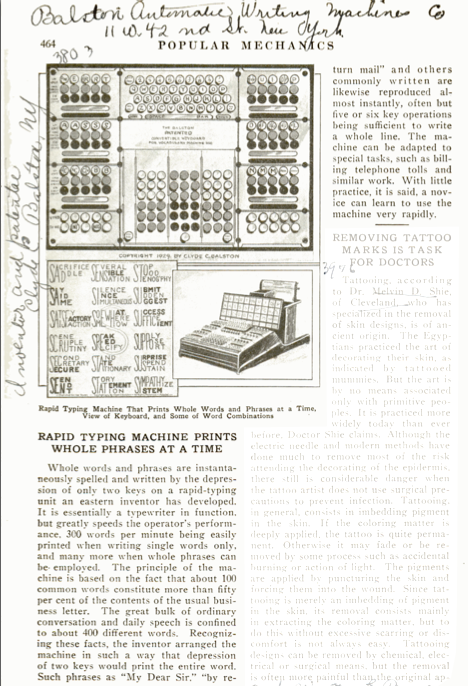 Came across some more pictures of the Balston machine, the new (in 1930) electric word writing typewriter written about earlier. 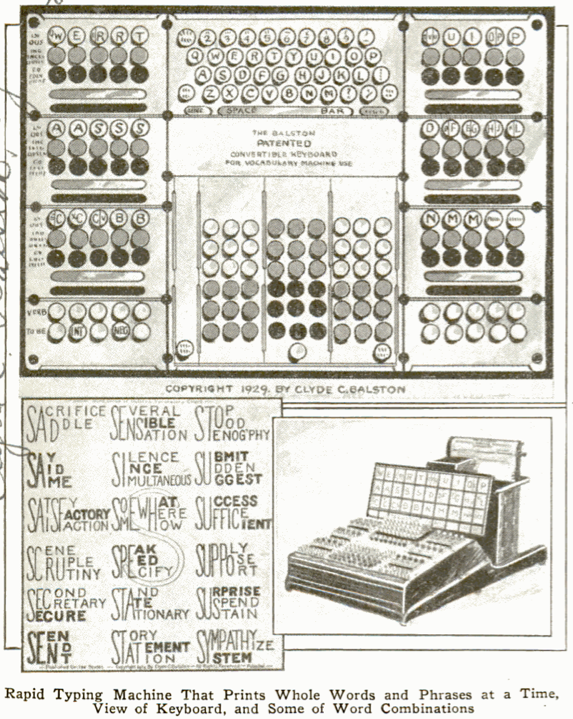 More detail of the 'keyboard' and a drawing of the appearance of the actual machine. To call it a keyboard doesn't do it justice really though, more an 'operator control panel' worthy of an aircraft. Probably sketched from a prototype that surely must have been built. Drawing dated 1929, noted as being from the Balston Automatic Writing Machine Co. of 11 West (?) 42nd Street, New York. Not the luckiest year economically to launch such a new, expensive machine. Overall it still looks like an unwieldy machine. Swanky offices though!